Drs. Jeremy Pal and John Dorsey (LMU Civil Engineeering and Environmental Science) will present a talk titled "Climate Change in Southern California: Are Our 20th Century Urban Environments Equipped for 21st Century Climate?" 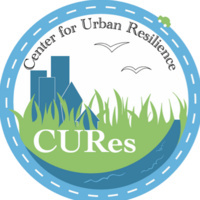 This talk is the final installation of the 2018-19 Environmental Lecture Series organized by the Center for Urban Resilience, BCLA, and Seaver.